Home » 40s » San Jacinto Mountains, California. San Jacinto Mountains, California, Vintage postcard 1940s. 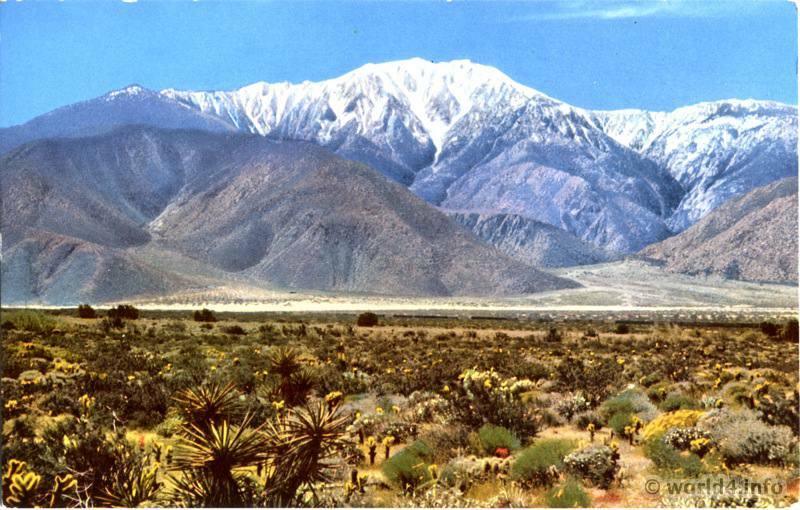 Description: San Jacinto Mountain, California, stands nearly 12,000 feet above Palm Springs. It is snow covered the year around and cradles many interesting camp spots. This scene shows when the dessert is in bloom. Previous PostSouthern California, Lemon Groves. Plant Art Nouveau Ornaments by Alfons Mucha.